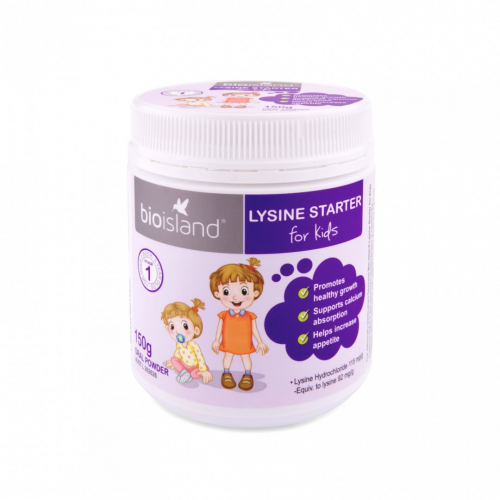 Bio Island Lysine Starter for Kids supports calcium absorption, that helps maintain normal bone structure. 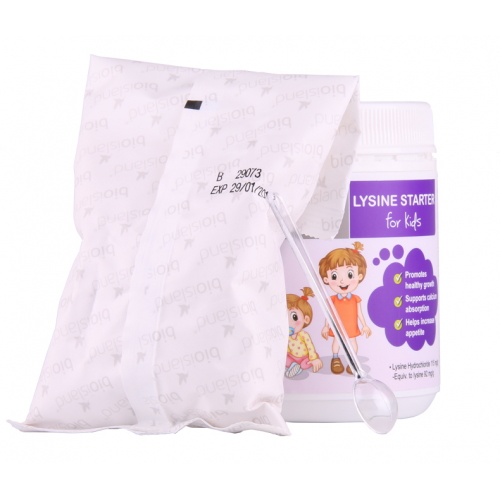 It contains the essential amino acid lysine, that supports healthy growth and improves appetite for infants and young children. 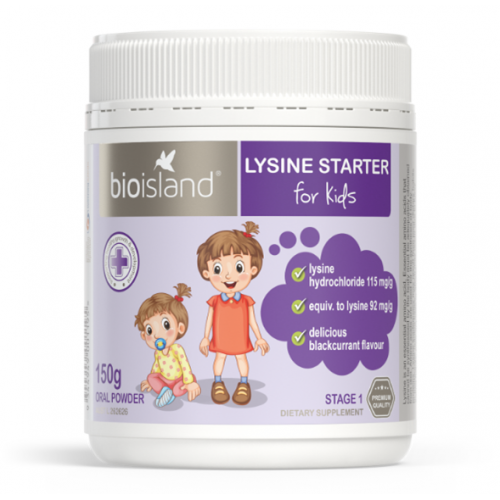 Lysine can improve appetite and promote growth, especially in young children who may not be consuming enough of their dietary need. 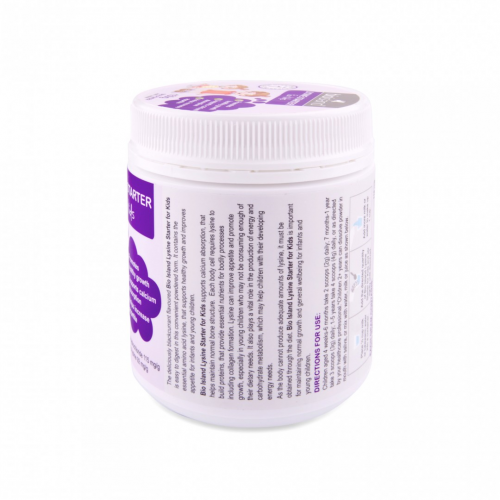 It also plays a vital role in the production for energy and carbohydrate metabolism, which may help children with their developing energy needs. 1-5 years take 4 scoops (4g) daily, or as directed by your healthcare professional. 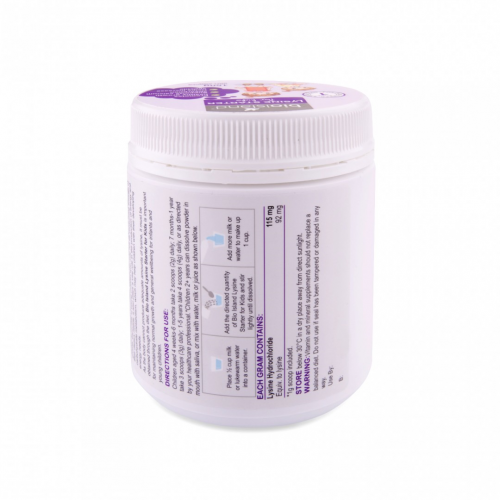 *Children 2+ years can dissolve powder in mouth with saliva, or mix with water, milk or juice.